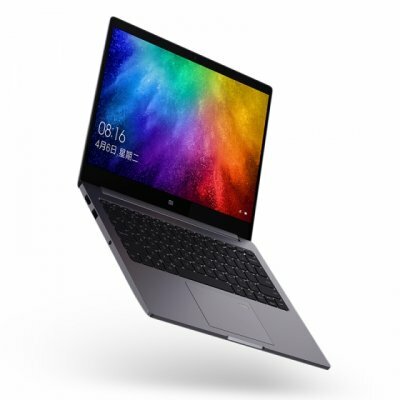 Successfully Added Xiaomi Mi Notebook Air - 13.3 Inch, 1080p, Intel Core i7, 8GB RAM, 256GB Memory, NVIDIA, Fingerprint to your Shopping Cart. Xiaomi has managed to pack some remarkably powerful hardware inside the body of their Air 13 notebook. This Windows laptop comes packed with an Intel Core i7 processor that has been clocked at 4.0GHz. Additionally, it treats you to a whopping 8GB DDR4 RAM and 256GB internal memory. With all this hardware at your side, you will be able to enjoy the latest software features and there will be plenty of space to store all your files. On the 13.3-Inch display of the Xiaomi Air 13 notebook, you’ll be able to undergo a stunning visual experience in crisp Full-HD resolutions. The 1080p display of this Windows laptop is guaranteed to bring your media experience to the next level. You will furthermore be treated to AKG Dolby Audio Premium Surround Sound which will further increase your overall audio-visual experience. The laptop comes packed with a powerful 5400mAh battery which brings along hours’ worth of usage time. Thanks to this, you won’t have to worry about running out of juice while using your laptop throughout the busiest days at school or in the office.